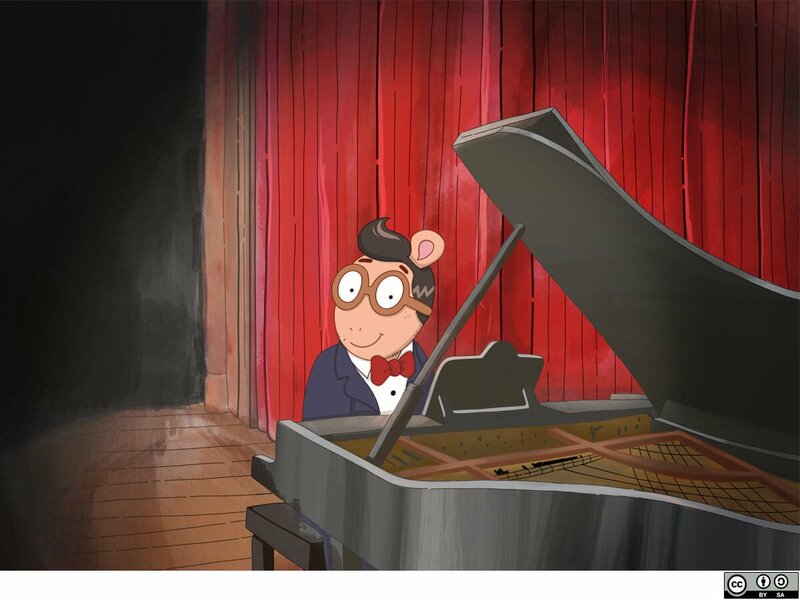 Arthur’s recently edged back into the limelight thanks to singer John Legend’s striking resemblance to the popular ’90s character, so it was only a matter of time until someone fleshed out the Arthur story a little further. The good folk over at The Toy Shop took on the task, ageing a whole bunch of popular nostalgic cartoon characters with the help of a talented illustrator. Amidst their mix of grown-up cleverness, it was Arthur who captured our attention. The animated series Arthur was based on the books by Marc Brown and began airing on telly in late 1996. In this fresh incarnation, our hero Arthur Read has gone from the chipper young aardvark we knew and loved, to a quiffed and sophisticated gent. The final result shows Mr Read sitting at a grand piano tinkling the ivories in a depiction that HAS TO BE a hat tip to John Legend himself. “Ever the bookworm (or book-aardvark, we guess) Arthur uses his skills to help people by sharing his knowledge,” The Toy Shop folk wrote under their Mr Read rendering. John has confronted his cartoon likeness head-on as recently as Wednesday of this week, appearing on Jimmy Fallon’s show to discuss this and other things. The Toy Shop has – thankfully – tackled growing-up some other childhood faves too, with The Wild Thornberrys, Rugrats, Hey Arnold and The Powerpuff Girls in the mix. Thanks for the memories, geniuses! See them all here.